At $50, Metro by T-Mobile customers get unlimited data and Google One, but no Amazon Prime and only a 5GB LTE mobile hotspot. $40 provides 10GB monthly, while $30 gets customers 2GB — neither non-unlimited plan has additional hotspot data. 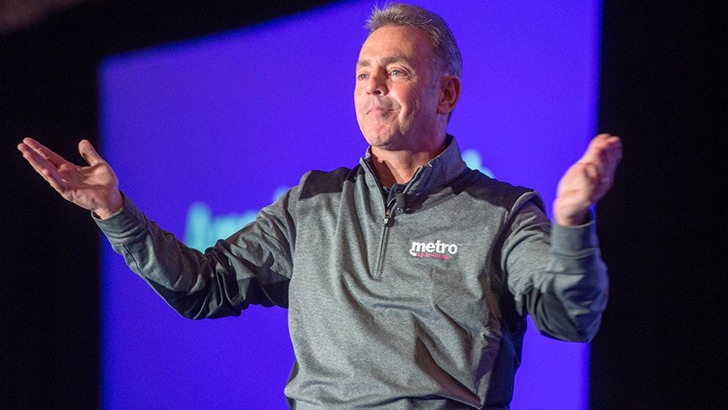 Hero image: Metro by T-Mobile president Tom Keys.